Difference between revisions of "TuQ'uan Varick"
TuQ'uan is a [http://starwars.wikia.com/wiki/Kel_Dor Kel Dor] mercenary with a proficiency in splicing and information brokering. Though he prefers to do most of his work from behind a terminal, TuQ’uan is not one to shy away from killing and can hold his own in a fight when necessary. TuQ’uan’s pessimistic attitude and large ego have gotten him into trouble on more than one occasion. Since getting recruited into the [[Dark Jedi Brotherhood]] TuQ'uan is currently undergoing training with [[Laren Uscot]] as a member of [[Clan Plagueis]]'s recruit training centre [[The Circle]]. Since getting recruited into the [[Dark Jedi Brotherhood]] TuQ'uan is currently undergoing training with Laren Uscot as a member of [[Clan Plagueis]]'s recruit training centre [[The Circle]]. This page seems to be Under Construction. Watch out for large groups of Rebel fighters. After construction is complete, please place a note on the article's talk page and remove this message. TuQ'uan is a Kel Dor mercenary with a proficiency in splicing and information brokering. Though he prefers to do most of his work from behind a terminal, TuQ’uan is not one to shy away from killing and can hold his own in a fight when necessary. TuQ’uan’s pessimistic attitude and large ego have gotten him into trouble on more than one occasion. Since getting recruited into the Dark Jedi Brotherhood TuQ'uan is currently undergoing training with Laren Uscot as a member of Clan Plagueis's recruit training centre The Circle. 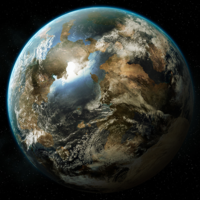 TuQ'uan grew up alone on the planet Ord Mantell after being left behind by his parents when their transport between Dorin and Kessel, where they were going to find work. TuQ'uan was forced to fend for himself using the few skills he had, adapting them to survival, and turned to splicing. Using the information he gathered for either leverage within the criminal underground or to sell for a profit. In 35 ABY TuQ'uan was hired by an unknown entity to steal information on Hyperdyne industries, TuQ'uan was able to track and locate the information being stored on a terminal on Nar Shaddaa. After successfully acquiring the information and learning Laren Uscot was tied to Hyperdyne TuQ'uan was betrayed by his former partner Vos Dusan, another Kel Dor, after fighting for his life TuQ'uan removed Vos' AntiOx mask and left him to succumb to oxygen poisoning. TuQ'uan presented the stolen information to Laren who in turn offered him a position within the Brotherhood. TuQ'uan has a darker complexion, being only a few shades lighter than crimson and eyes a deep black. A four inch scar runs along his neck starting directly below his left ear and moving towards his throat. Less visible scars can be found on his torso including a prominent puncture wound about an inch and a half in diameter on his lower left hand abdomen. As all members of the Kel Dor species, TuQ'uan requires an Antiox mask and goggles when in highly oxiginated atmospheres. TuQ'uan's mask and goggles are black, his mask is pristine on the left hand side and scrapped to reveal what looks like the bare metal showing on the right hand side. TuQ'uan favours darker clothing, black pants and a dark grey buttoned shirt with a lightweight black short collard jacket with hidden pockets throughout over top. He wears a low slung blaster holster on his right hip holding a DL-44 heavy blaster, and a wide brimmed hat pulled down low over his face. This page was last modified on 20 January 2019, at 19:43.